Central UMC is a Congregations for Children (C4C) church, serving to transform the lives of children and families impacted by poverty through collaboration with Cleveland County public schools. 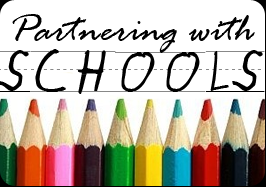 We understand that this is a process, rather than a program, by which Central UMC develops on-going partnerships with schools and other churches in order to continually strengthen and expand support for our neighbors in need. Our ministries are developed according to the needs and resources available. We are grateful for schools that offer us an opportunity to reach children and families who are often hidden and not a part of our daily lives. Backpack Ministry — children are often discovered by school staff on Mondays to be excessively hungry due to a lack of food in the home during the weekends. Central provides food for these children to take home on Fridays. Servants are needed to organize storage room, unpack food, pack weekly bags and deliver bags to schools each week. This year, we would like to have prayer partners for each student and their families. Book Fairies – the gift of reading is an incredible blessing, taking children to faraway places to dream great dreams. During the yearly book fairs we need servants to work 1-4 hours assisting the librarian and students who receive $10 book fair vouchers. Assistants will have the joy of shopping with these students and help them pick out books. Goodnight Ministry – sadly, not all children have a bed to sleep in or pajamas to keep them warm at night. Central UMC provides these basic needs of bedding. Servants help unload bedding supplies upon receipt, assemble bed kits, as well as, decorate/paint containers for all supplies. James Love Elementary Tutor — using Great Leaps Reading and Math curriculum, adults are needed to commit to one day per week for 30 minutes to tutor approximately four children. Additional areas of support include helping with their family nights and field day. Dates and times TBA. School Ministry Newsletter – what a gift it would be for a creative individual to produce a church newsletter to share with the congregation successes, needs, ways to engage, prayer support, and how God is moving in our public schools. Prayer team – it all begins with prayer! We are looking for committed servants to pray for these ministries, the school staff, children, and families we serve and living in our community. For more information regarding these ministries contact Lori Wilson at [email protected] or the Rev. Fawn Mikel at the church office 704-487-6336.